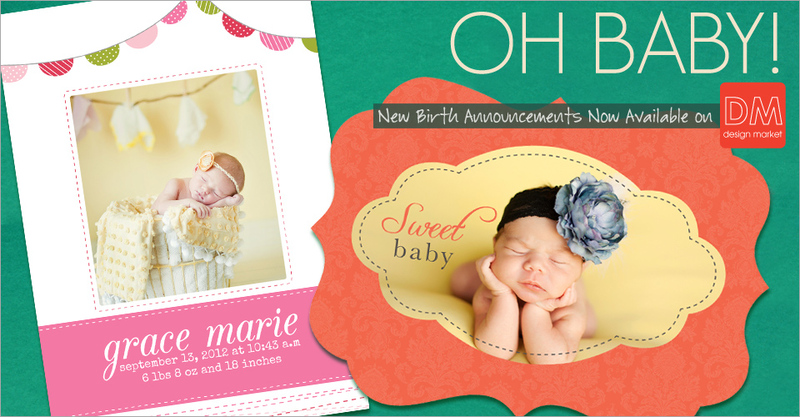 How sweet they are… Our skilled designers handcrafted new baby announcements that are all ready and waiting to make their big debut in your studio. Whatever style you’re trying to achieve, find a template to fit your needs at Miller’s Design Market. Do you have too much to do and not enough time to do it? Perhaps you have so many cards to create and need new designs to refresh your offering. Don’t worry. We have you covered. Visit our website to see our precious new bundles and welcome your own exclusive Design Market card into your family.